I’m sitting down with some clients later this morning to help them build a platform for launching a new book. A book launch is a complex process. First you have to research your content, write the book and then painstakingly edit it. This is no small task. But once you have your book ready to go, you not only have to figure out how you are going to publish it, but you also have to figure out how you are going to promote it. The average self published book sells less than 200 copies. 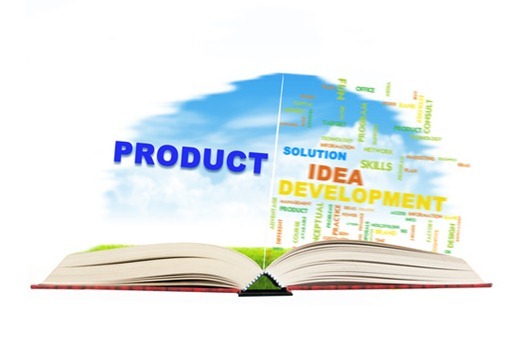 From this platform you can get the word out to your tribe about your book, product or service. If your tribe is well connected and share an interest in your products, they will get the word out too. I’ve been on a few book launch teams over the past year, and I have seen amazing results happen at launch time. The secret is preparation, long before the release date. Books can literally climb the sales charts overnight, hitting the top 100 on Amazon in literally hours from sending the word out. While building a platform sounds relatively easy (At least the pundits make it sound easy), it can be one of the most overwhelming tasks you’ll ever take on. There are literally hundreds or even thousands of steps to get well connected. If you are good at following directions, have the patience of a saint, have lots of uninterrupted time, along with being good with technology, you just might make it. But for most people, you’ll probably need help along the way. You first start in the middle column. You fill in the pertinent information you want to use for your platform’s home-base. This is usually a blog or website. The meeting notes template has a place for domain name, tagline, keywords and product information. 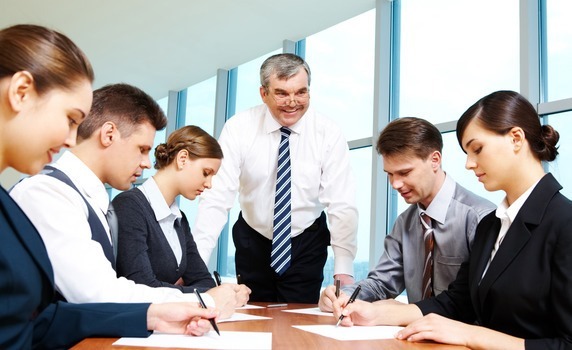 It’s a simple way to plan your new online base of operations. Check out How to Use the Platform Planner by John Richardson on Snapguide. In the surrounding boxes, you put in information concerning your social media outposts. This may include profile name, page name, user information, content description. The boxes are empty so you can easily add notes, drawings and links. 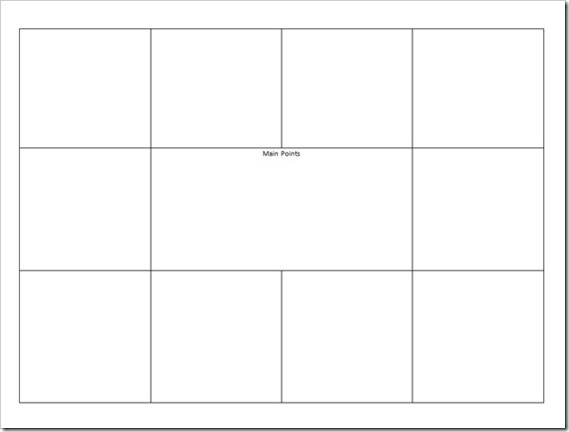 This simple Platform planner is great for meeting with clients, mastermind groups, or just laying out new ideas at home. It’s quick, easy and all the common sites are on one sheet. To start your platform planning, download this sheet and get started. I’ve create two versions. 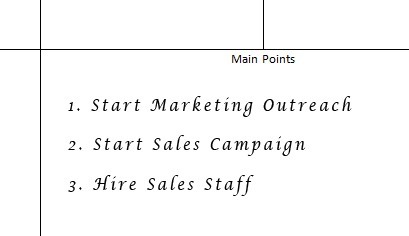 One looks like the diagram above, the other is blank in the middle, for visual planning for your blog or website. Both of these are available in PDF format and are free to download. Once you get this filled out, you can start creating accounts and securing web hosting. 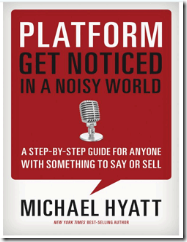 To help you along the way, you might want to download Michael Hyatt’s new book, Platform: Get Noticed in a Noisy World. This is a great step-by-step guide to help you get your platform launched. 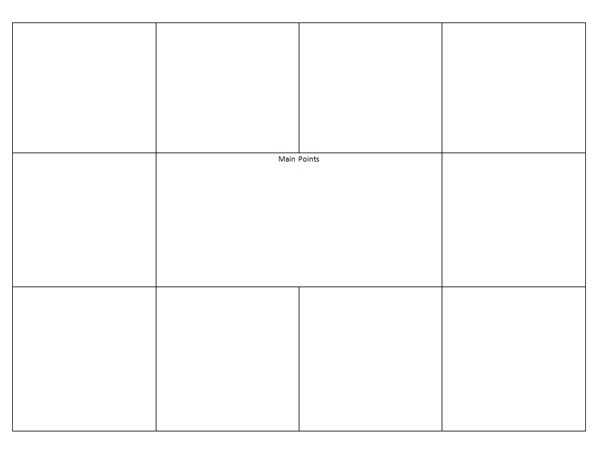 If you are a web designer or marketing person, you may find this template helpful when planning ideas with clients. Why not download a few copies for your next consultation. Question: Have you built your platform yet? 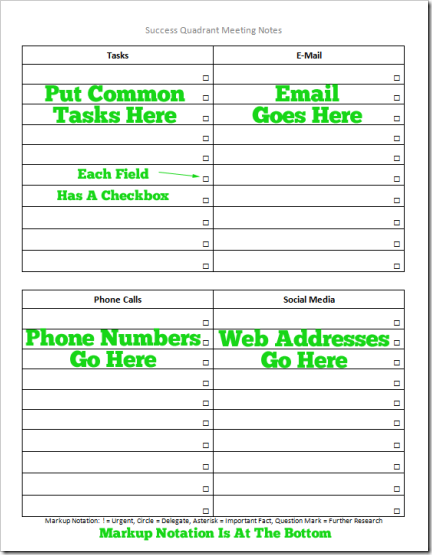 One of our top downloads here at Fire Up Today is our Meeting Notes Template. 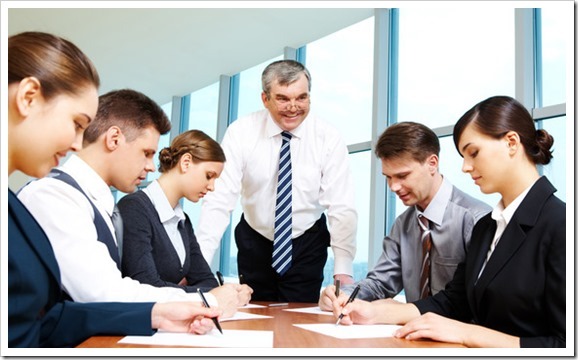 It’s been downloaded thousands of times, and can help you to quickly capture the most important information in most meeting environments. While this template works well for most applications, I ran into a situation the other night that presented a different set of criteria. As I sat through a great webinar, I was presented with lots of links and contacts. Looking down at my note sheet, I decided I needed one with a slightly different focus. 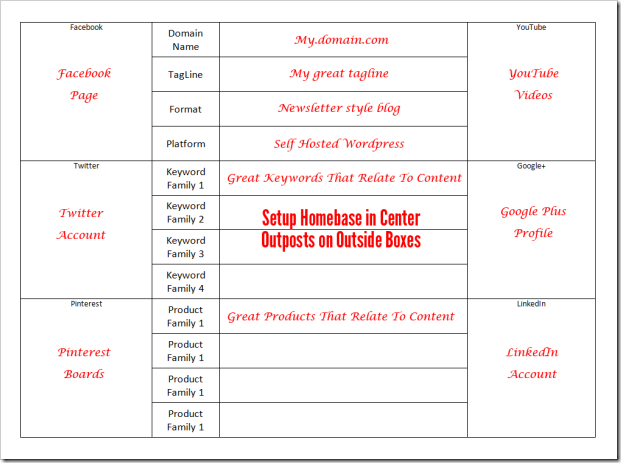 I went back to the drawing board and came up with a simple success quadrant that gives you a place to quickly capture notes, e-mail addresses, phone numbers and web data. I tried to keep it as simple and generic as possible, but I wanted to give each blank line a check off box, so you can easily see when you have completed the data recording or next action. 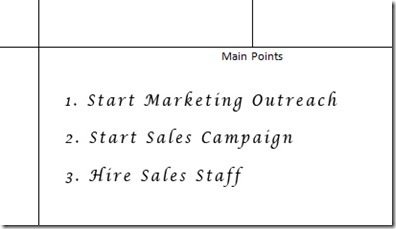 Here is how the Success Quadrant Meeting Notes Template Looks. This template comes in PDF format and will work for a lot of situations where you need to record a lot of numbers or web addresses. Question: Where will a note planner like this work for you?